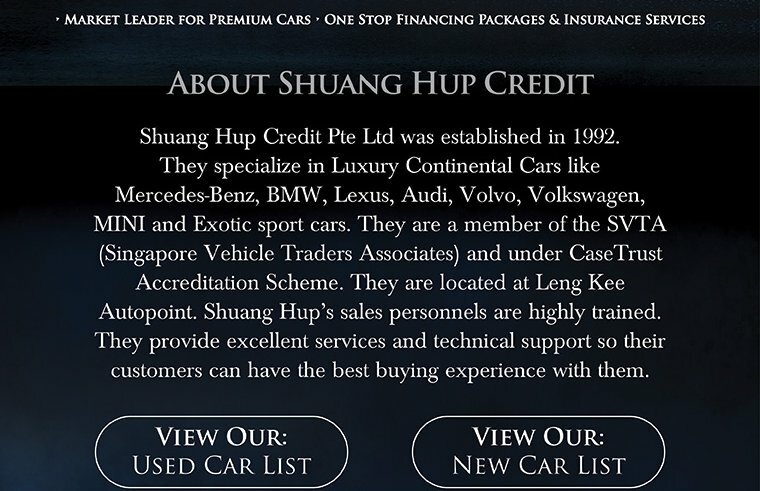 Shuang Hup Credit Pte Ltd was established in 1992. They specialize in Luxury Continental Cars for Mercedes-Benz, BMW, Lexus, Audi, Volvo, Volkswagen, MINI and Exotic Sports Car. They are located at West Coast Car Mart. Their aim is to provide excellent service and good quality pre-owned luxury cars for their customers. 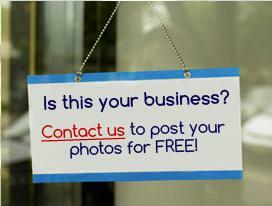 Their Sales Personnel are highly trained to provide excellent services and technical support for their customers. 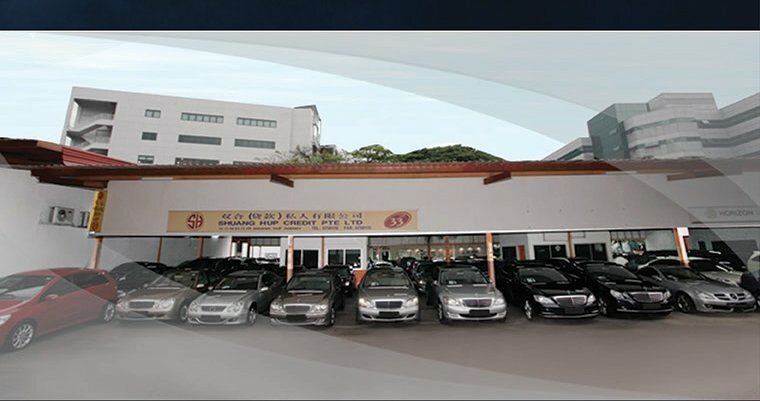 They are a member of the SVTA (Singapore Vehicle Traders Associates) and is under CaseTrust Accreditation Scheme to provide customers a peace of mind.